The most dominant feature of the Akropolis in Athens, the Parthenon is one of the most famous architectural works in Western Civilization. Once the largest and most lavish temples on the Greek mainland, the Parthenon, in addition to being a landmark on its own, was surrounded by a frieze filled with impressive sculpture and once housed a giant statue of Athena. 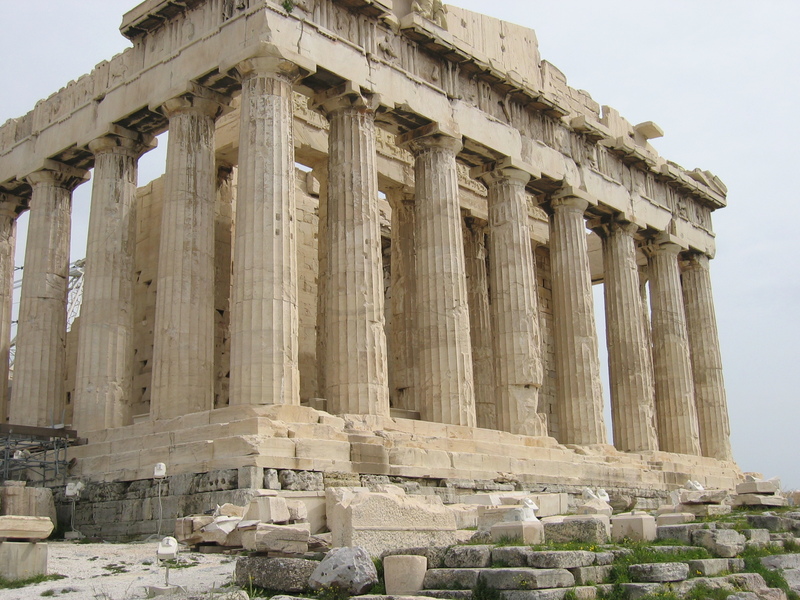 A pretty sweet 360 degree tour of the Akropolis's main sites, including the Parthenon.